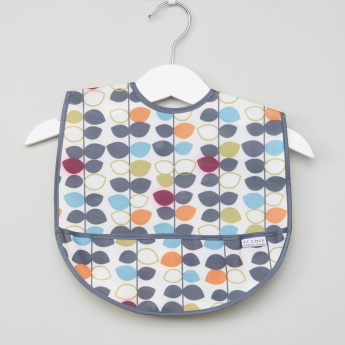 JJ Cole Printed Bib - Large | Multicolour | Easy to clean. 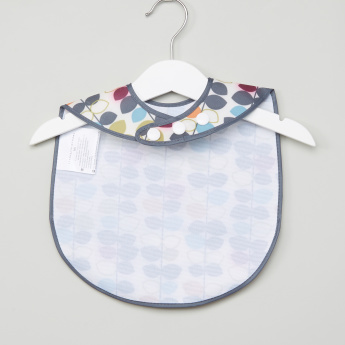 Put this bib around your child's neck to ensure that the clothes remain stainless and dry. The printed detail looks attractive while the press button closures gives a secure fit. 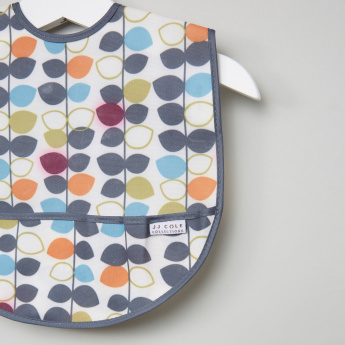 Feature 2 : Helps protect baby cloth from getting stain. 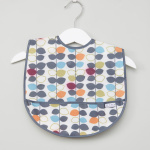 Feature 1 : Easy to clean.